By any measure, Germany’s global engineering and technology services group Siemens is a big corporate beast. Boris Huttenlocher, a senior financial consultant in the group’s financial services business outlined just how big a force it is in his case study. Siemens celebrates its 170th anniversary this year and in 2016 total revenues reached €83bn, while net income totalled €6.1bn. The group has a diverse geographical spread, with more than 100 subsidiaries across 115 countries, with a product range that spans power and gas, turbines, compressors, renewable energy and building technologies. But for all its scale, Siemens’ sourcing is concentrated largely on just two countries, Germany and the US, which together account for half of total procurement volume. Huttenlocher said that Siemens’ supply chain finance programme initially focused on the group’s customers, but now has a broader scope and deals with both tier 1 and tier 2 suppliers, in addition to customers and end-customers. 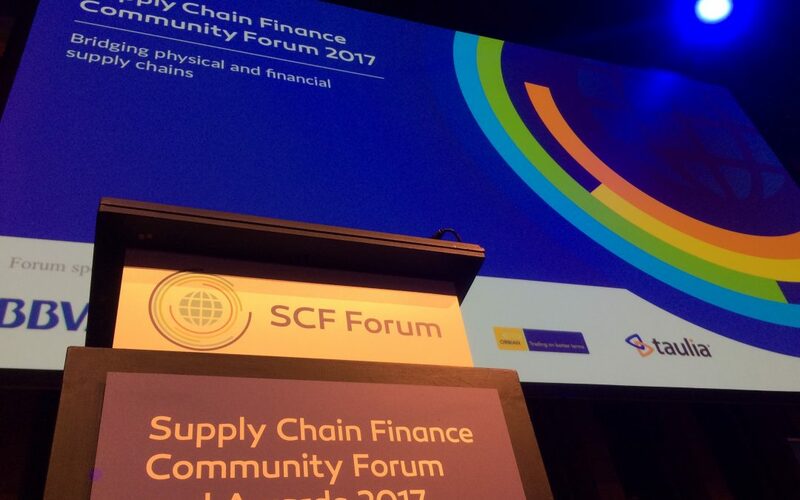 Siemens Financial Services has begun to support the group’s supply chain in the past couple of years by offering a wide variety of financial solutions, he added, although the group began offering a reverse factoring programme back in 2008. Speed of invoice approval is an important part of its success. The company approves – or rejects – invoices within an average of just eight days, using platform pioneer Orbian for the electronic transmission of payment instructions. “The supplier never has recourse to Orbian, so the relationship is strictly between the supplier and Siemens,” said Huttenlocher. Payment terms for customers range from 30 days to 360 days, with the company targeting an average of at least 90 days. The number of suppliers on Siemens’ SCF programme has grown steadily and the total is now close to 2,800. Siemens Financial Services liaises closely with the group’s procurement department, which employs almost 16,000 people. “The programme with Orbian is active in many countries, but not all. For example, in some regions the local legal requirements make it not possible. So, there are still quite a few regions of the world where we have more work to do,” Huttenlocher said. “Also, adjustments in the business portfolio of Siemens are fairly frequent. Our CEO has likened the group to a big steamship and we’re now attempting to become more of a fleet. “We’re facing a lot of challenges and new working environments. For example, legal requirements mean payment must now be made to the new owner of receivables, rather than the supplier.